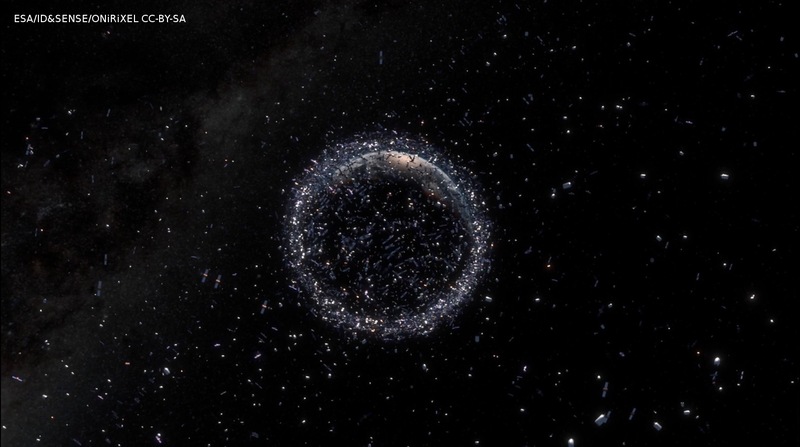 The European Space Agency (ESA) entrusted to the french 3D animation studio ONiRiXEL the creation of the new Space Debris Movie 2017, with the consulting startup ID&SENSE and the Information Systems Department of the C-S Group. The short film premiered today as the opening of the 7th European Space Debris Conference at ESOC, in its stereoscopic 3D version. According to ESA : "3D animation is the most suitable way to explain technical principles and to give a clear picture of the situation in space". 2017's version of the Space Debris Movie is thus a 12 minutes steroscopic 3D animation film, showing the nature (active and defunct satellites, rocket upper stages, fragments and mission related debris) and locations of various space objects. As it was mandatory for ESA to provide the movie's audience with acurately realistic information with respect to the position and attitude of spacecraft, we decided to bring in the developpers of the Orekit open source orbitography software at C-S to develop a special interface between their software and Blender, the open source 3D animation and rendering software, which was used for the production of the movie. The result was an elegant and efficient solution to transform orbitography data provided by ESA into realistic 3D simulation and visualization. Vérification anti-spam Quelle est la première lettre du mot lllf ?